Dr. Mike is a board certified Acupuncture Physician who serves the greater Orlando area. He received his license from Florida State Board of Acupuncture and eventually earned The Master of Auricular Medicine Certificate from Dr. Li Chun Huang “The Queen of Auricular Medicine”. He’s been helping Orlando residents with acute and chronic pain and stress related health problems since 2006. After his six-year career as an acupuncturist in Orlando, Dr. Mike decided it was time for a change and moved to the middle-east, where he was offered a teaching position at the Traditional Medicine University. 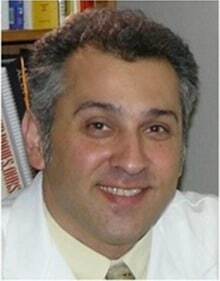 In addition to teaching, Dr. Mike has been treating patients suffering from all sources of diseases such as Migraines, MS, Stroke, Shingle, Arthritis, Side effects of Chemotherapy and of course many painful disorders like Tension and Cluster headaches, Neck, Back, Hip, Knee, Shoulder, Elbow, Wrist and Finger pain. If you’ve considered acupuncture care in the past but were afraid of needles, Dr. Mike offers “Auricular Medicine”, which is a safe, effective and no needle technique and in addition to treating pain, he offers a Computerized Meridian Imaging “AcuGraph” which can measure the energy imbalances throughout your body. He also offers Nutritional Counseling & Food Therapy Solutions to Treating Fatigue, Sleep disorders, Smoking cessation and Weight loss. He works with all age groups, including children 8 years and older.